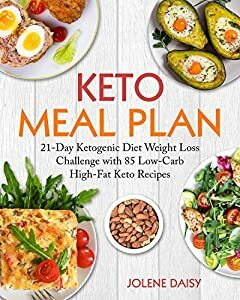 You already know the main secret of the ketogenic diet, don't you? On Keto, you should get more calories from healthy fats and cut back on carbs. In this case, your body will use ketones as an energy source, instead of glucose. When the process of ketosis begins, your body will actively transform fats into ketones, and you will start to lose weight. It seems like a miracle - to eat mostly fat to lose weight! You can also buy a full-color or black and white paperback version of this book. Just click "See all formats" section to choose your version.